? （一）思想厚度 要“真” “新” “深” ? （二）文化厚度 ? （三）思维厚度 ? （四）语言厚度 ? 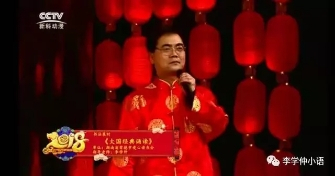 （1）词汇要丰富；（２）语言要畅达； （３）句式要多变 (４）修辞要多样化； （５）文风要有个性。 ? 我只是一介书生，所以难免卖点书呆子气。每每 看《西游记》，总觉得既然孙大圣可以日行千里， 为何不背着唐僧一步西天，也省得一路上千辛万苦， 还有这妖那精的惦记着唐僧肉。 ? 如果一步西天，倒也爽快，只是师徒几人的关 系恐怕也只能停留在“酒肉朋友”的层次上了。所 谓“患难见真情”：八戒虽色，却处处念叨着师傅， 偷了个西瓜还不忘分给师傅半个；沙僧虽傻，却任 劳任怨，甘心做大伙儿的下手；悟空虽狂，可师傅 有难，不也是不顾生死，降妖除魔吗？战场上结下 的友情才是钢铁铸成的??！倘若一切都太容易，那 悟空充其量只是个开路的，沙僧充其量只是个脚夫， 八戒逗逗大家开心而已，便是一个太无趣的故事了。 ? 日行千里，又怎知这天底下人间的百 态？敝人不才，未曾念过佛经，可也听说佛从人 间来，人间酸甜苦辣尝尽，才换来“佛”超脱尘 世的感悟，写入佛经，贻养后人。不经历千难万 险，唐僧又怎能真正领悟这佛经的精深蕴意？阳 光总在风雨后??！ ? 真的可以一步西天，佛经取回，又怎么样呢？ 抑或，难道西天之行仅仅为了取回几本经书吗？ ? 坐在我前桌的那个人竟然没来参加考试？！看着前面 空荡荡的座位和那空白的答案纸，我的好奇心蠢蠢欲动。 ? 她（他）是因为害怕吗？ ? 如果是这样，我只能表示理解但并不赞成。我们这一 届是江苏高中课改的第一届，放在科学实验中也就和“小 白鼠”差不多，从教材内容到考试形式都是全新的，从老 师到学生都是摸着石头过河，真正信心百倍的能有几个呢？ 但是，我们不能因为这些不确定的因素就临阵脱逃。高考 固然可怕，但仔细想想，高考也是可爱的。它意味着我们 终于能和数不清的作业、上不完的晚自习和考不完的试卷 说再见了！我们终于能以最公平的方式和同龄人展开较量， 证明自己的实力了！毛主席说得好，“数风流人物，还看 今朝”！所以对于高考，今朝的咱们不用怕！ ?
? 我为你动人的歌声喝彩。如果让我选几个 高中生活最值得回味的片段，那么，晚自 习下课，趴在阳台上听你唱《唯一》、 《心跳》必在其中。优美的旋律加以你独 特的感情，一点深沉，一点寂寞，一点悲 伤，甚至有一点调皮，让世界在灰色天空、 银色明月下显得那么宁静。没有花影缭乱、 树影婆娑，有的只是自己无欲的心。 ? Nowadays, there is a public concern over the problem of…. Recently, a heated debate about…is under way in China. The following are the reasons of my view points. Everything has two sides and … is not an exception. In a word, the whole society should pay close attention to the problem of …. I am very glad that a class team will be organized to take part in the group dancing competition by our school and the monitor expects all to be active. I have decided to join the team and win the top honor with my classmates. First, in the past two years the group dancing has been introduced all over the campus with the adoption a practical policy issued by the national education authority. As well as other social activities such as charity contribution, touring around the orphanages and nurseries and serving the public in the neighborhood, the group dancing has become more and more popular among us. Second, the group dancing, regarded as one of the most popular group activities, helps us to learn to be more cooperative, more confident and more optimistic. It also serves to develop a full personality, both physically and mentally. With the reasons listed above, I am looking forward to the day when our class team will win the first prize in the competition with our great efforts.
? 更多的人要活出简单来不容易,要活出复杂来却很简单. 人小的时候简单,长大了复杂.穷的时候简单,变阔了复杂, 落魄的时候简单,得势了复杂,君子简单,小人复杂. 看自己简单,看别人复杂.